Although I just finished Bleak House, which I began back in January, don’t ask me who Gridley is, because some of the minor characters are a muddle in my mind. I could tell you a little about Smallweed and Snagsby and Guppy and the Reverent Mr. Chadband, but just now I can’t recall Gridley’s deal. So many subplots, so many characters. Everyone remembers the Dickens villains, like the convict in Great Expectations or Fagin in Oliver Twist. The cold-hearted lawyer in Bleak House, Mr. Tulkinghorn, has no redeeming qualities. Nor does the brilliantly named Mr. Vholes, another (surprise!) lawyer. In contrast, the narrator Esther Summerson and her guardian John Jarndyce are standard-issue Dickens’ paragons of virtue. I’m fine with these one-note characters to buttress the book’s moral structure, but I prefer the more nuanced folks. 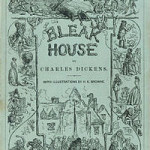 Dickens does goodness very well, sometimes leavened with human frailty. I loved Mr. Bucket, the eminently capable and kind detective, even though he mistreats the orphan Jo. When I was telling someone how much I loved Dickens’s good characters, he said, “But they’re always the rich ones, aren’t they?” They’re not, of course. 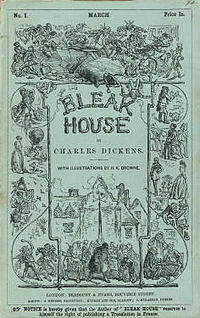 For Dickens, poor people pass more easily through the eye of the needle. The most moving part of the book for me was the aristocratic Leicester Dedlock’s transformation near the end of the novel from a stuffy, ludicrous hypocrite to a humane, forgiving husband. It’s a brilliant passage, conveying Dickens’s egalitarian sensibility. His noble earnestness, his fidelity, his gallant shielding of [his wife], his general conquest of his own wrong and his own pride for her sake, are simply honourable, manly, and true. Nothing less worthy can be seen through the lustre of such qualities in the commonest mechanic, nothing less worthy can be seen in the best-born gentleman. In such a light both aspire alike, both rise alike, both children of the dust shine equally. And then today, in a relieved rush, I read straight through Elizabeth Strout’s new novel, My Name Is Lucy Barton. It, too, contains a spectrum of human behavior. And it’s about mothers and daughters, a subject in which I have some interest. I recommend it. This was written by Kathy. Posted on Sunday, February 7, 2016, at 11:49 pm. Filed under Books. Tagged Bleak House, Charles Dickens, Elizabeth Strout, Leicester Dedlock, My Name Is Lucy Barton. Bookmark the permalink. Follow comments here with the RSS feed. Post a comment or leave a trackback.